Weight / Stone: 68.00 lbs. 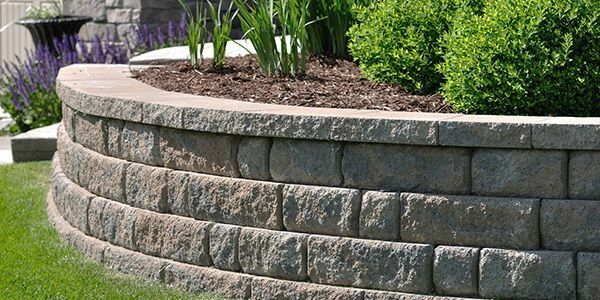 The Anchor Diamond® retaining wall provides economy of effort in a structural, finished product. The patented rear lip facilitates construction and ensures proper alignment and a precise setback. The Anchor Diamond® stone is available in the beveled face style shown here or the distinctive straight face style. It is available in a wide variety of colors and blends.